There are many dumb Hindus who play the game of moderate vs extremists Muslims. But only when their death is certain do they seem to realise how pathetic and Darwin award worthy such positions are. The recent killings of Hindus and Buddhists in Bangladesh should show them the stupidity of their position. The moderate Muslims have almost no incentive to save them from actual Muslims/jihadis. Take the incident in Bangladesh, where the Jihadis specifically asked the Muslims to step aside as they proceeded to kill Kafirs one by one by slitting their throats. The moderate Muslims were spared because after all they were people of the book. In this fight, Hindus are alone and no Muslim will come and save them. This is the ground reality. Whatever the problems Muslims have, be it Shia vs Sunni, Sufi vs salafi/wahabbis, the end result is the same. Before they turn on each other, the Muslims always make sure to kill the kafirs first. Look at what happened to Yazidis, who got caught up amidst the cross fire of ISIS and Iraqi government. Only after the kafirs are finished do the Muslims turn on each other like rabid dogs fulfilling the teachings of their religion. The left wing intellectual snakes of JNU types and the other left wing presstitutes in Scroll.in, thewire.in etc and the AAP and Congressis will sell their daughters and wives to jihadists to save their own skin and the right wing intellectual half wits will talk about false brotherhood of Sufism and try to separate terror and religion. These people will just use the Hindu apprehensions against Islam for their votes and make money and flee and settle abroad or convert to Islam at the right opportunity after fooling Hindus into complacency, thus leading them to slaughter. This is why Hindus should stop playing this game of good vs bad Muslims as it is akin to saying good and bad snakes infected with poison. The only allies for them in this world is they themselves and hence should unapologetically stand up for themselves and defend no snakes. That’s is the only way they are going to survive the coming apocalypse in the name of Islam. Some escapist Hindus often site how Shivaji and Marathas won against the odds for the Hindus and that the present mess is no different and that we can emulate Marathas and that there is no need to worry now. But what these escapist Hindus don’t seem to realise is that Shivaji and the Marathas didn’t win against the Muslim barbarians of their time by intellectual masturbation about religion and finding tolerance in the teachings of one of the most poisonous religions. The moment they started behaving like typical Vashudeva Kutumbakam Hindu morons by tolerating Nawab of Oudh, they were quickly destroyed by Islamic Barbarians from Afghanistan under Abdali, ably helped by the betrayal by the Nawab of Oudh due to the Nawab’s loyalty to Afghan Muslims than to their own king bourne out of Ummah solidarity. 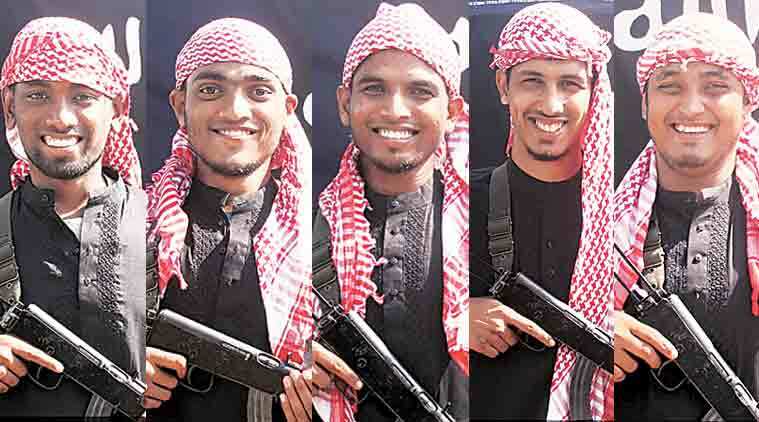 When the terrorists asked Faraaz Hossain to leave as he was a Muslim, he declined and stayed with his two friends, Abinta Kabir and Tarishi Jain. He lost his life for refusing to be just a Muslim as defined by the terrorists. His humanity triumphed. Another person who was hacked to death by the Dhaka terrorists was Ishrat Akhond. The Indian Express quotes Akhond’s friends as saying that she was killed for not wearing a hijab, and for refusing to read the Koran when asked to by the terrorists. Once again, humanity triumphed. A Muslim chose her wider humanism over the Koran to fight narrow-minded and bigoted Islamists. There are news stories which are now questioning the motive of Faraaz and actually claiming that he was a terrorist and not a braveheart as portrayed by some newspapers. In any case, although their death was unfortunate, it also shows that moderate Muslims are useless when it comes to Islam as they would be almost always overpowered by their violent and more extremist brothers. The only way moderates can help the world and humanity is by leaving Islam, something which they will never do. In any case, these same moderates bump up the number of Muslims in any area and give power to the Islamists to go on rampage against others and lesser Muslims. But this entire exercise of cherry picking few Muslims who die saving their friends is a hogwash as at the end of the day, it is the non-Muslims who won’t be able to recite any verses from Quran and will be hunted down for being kafir. The sooner Hindus realize this reality, the better it will be for their survival. Either that, or they can go the bania route and pimp out Hindu lives for brownie points from anti-Hindu Islamist and left-wing intellectual snakes. The latter strategy as adopted by Swarjaya magazine these days would help them make some profits before they are wiped out, but at the cost of honour and dignity if they still have any.